methods in an Eastern land. but is heavier than a Nata machete. Curved Great Swords are the best choice for DEX builds in terms of damage and stun potential at the cost of slow attack speed and high weight compared to other DEX weapons with high DEX scaling. They have a wide attack range and deal high damage to mostly every enemy in the game, barring those who're very resistant to physical attacks and slash damage. Ineffective in cramped quarters. The Murakumo is the most damaging of all curved great swords, as well as the heaviest, requiring a high 28 STR requirement (19 w/ 2 hand) weighing 12 units. 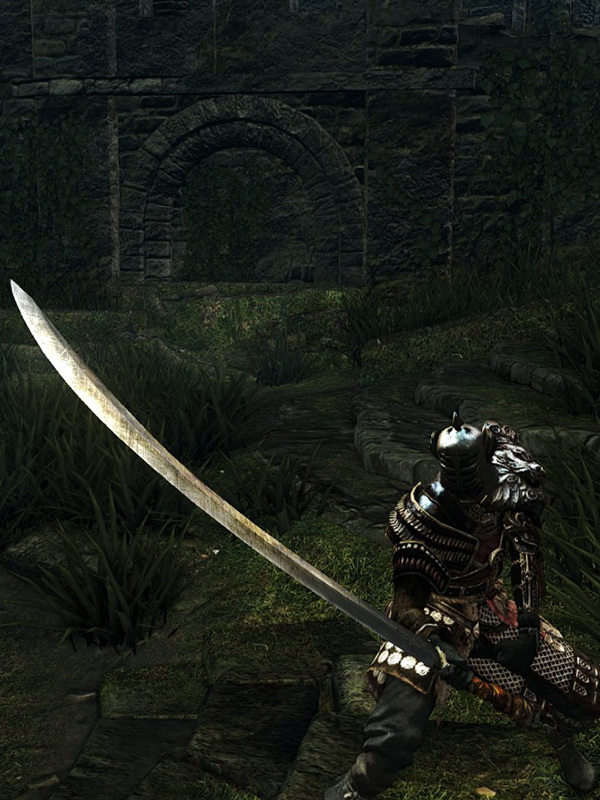 Has no special abilities compared to the other Curved Great Swords (Server restores 7HP per hit and Gravelord Sword inflicts toxin and can thrust) but out performs both in terms of damage output. R2 — R2 Heavy alternating horizontal slashes. Backstep or Run — R1 Jumping right-to-left horizontal slash. Forward + R2 Heavy jumping left-to-right horizontal slash. L2 (left hand) Fast left-to-right horizontal slash. R2 — R2 Heavy overhead chop into a second overhead chop..
Backstep or Run — R1 Jumping overhead chop. Standard upgrade cost for all paths: 400 Souls. Murakumo durability reduced to 18. Base damage increased. Cannot repair weapon (except through reinforcement).